Acclaimed recording engineer Richard King has worked with such diverse talent as Yo-Yo Ma, Wynton Marsalis, Joshua Bell, Ben Folds and Renée Fleming, and has been awarded 14 Grammys (including one Latin Grammy) for his achievements in classical, jazz, Broadway, folk music and film scoring. In 2009, after 15 years as an engineer at Sony Music in New York, Richard joined the faculty of McGill University as an Associate Professor in the Music Research Department of the Schulich School of Music. 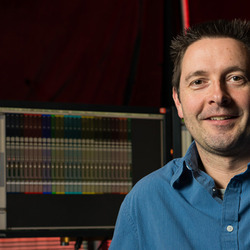 Continuing to engineer select projects, Richard is also a frequent presenter, panelist and student recording competition judge for the Audio Engineering Society as well as a sought after lecturer for university recording programs worldwide. He holds a Master of Music degree from McGill in Montreal and a Bachelor of Music from Dalhousie University in Nova Scotia. Fall 2016 will mark the release Richard’s debut book, Recording Orchestra and Other Classical Music Ensembles (Focal Press/Routledge). “These days, everyone expects a more intimate sound, so for the last 10 to 15 years, I’ve been moving microphones in closer to the musicians and capturing less of the hall in my main pickup. Instead of room microphones, I prefer using artificial reverb and my favorite by far is Lexicon. I haven’t found anything that can beat it. The controls and parameter adjustments provide the flexibility I need for the different kinds of rooms and recordings."